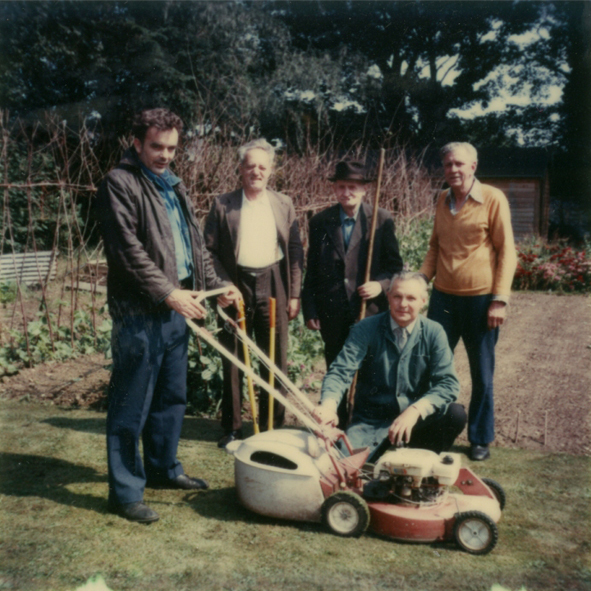 Mowing the gardens in 1980. Framsden, Friston and Framlingham Wards, Mr Davy, chief attendant buried in churchyard - 1904. Working on the land at St Audry's.